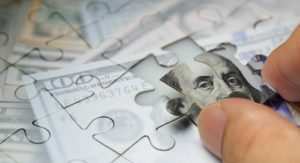 Asset protection is a set of legal strategies designed to shield property from creditor claims. This may include holding assets in certain legal entities that are designed to keep judgment holders from seizing property. Such legal tools include limited liability companies and trusts. This may also mean taking advantage of laws written to make certain assets exempt from creditors. For instance, there are homestead statutes and retirement account exclusions. Furthermore, we discuss how to protect assets from lawsuits and what to do. Keep in mind that the that various legal protection tools and exemption statutes offer will vary by jurisdiction. For more information you can download this free asset protection book. Asset Protection Planner’s tutorial is a step-by-step guide that will teach you how to protect yourself from judgment creditors. Moreover, it comes complete with free asset protection tools! Are you a business owner and/or in a profession or situation that bears substantial risk? 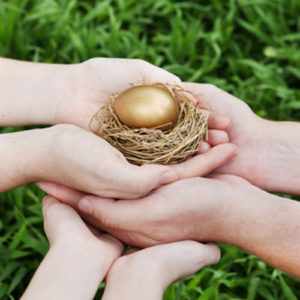 Do you want know how to legally protect your assets from the ground up? Whatever your circumstances, this tutorial will teach you asset protection from basic to advanced. In addition, it contains important asset protection tips to help you shield yourself from aggressive attorneys and their malicious clients. This asset protection how-to guide maps out proven, topically arranged, bulletproof lawsuit protection strategies. Asset Protection Planners has established such plans for thousands of clients worldwide. You can employ instant protective measures even if you are in a lawsuit right now. We provide free asset protection tools and many free videos to assist you with every step. Chapter 1: What is Asset Protection? 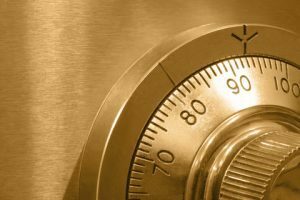 Chapter 2: Why is Asset Protection Important? Finally: Asset Protection: The job that is never finished. Our asset protection tutorial details only legal, moral and ethical strategies that comply with legal standards. The management team at Asset Protection Planners has set the standard for ethical means to protect the resources that people work so hard to acquire. Our Asset Protection Code of Ethics, now duplicated in multiple languages using an updated web platform is a standard worldwide. A respected team of professionals, the management keeps its finger on the pulse of the industry. Therefore, they know how to protect assets and offer strategies that keep up with the times. Since 1906, our company has provided bulletproof strategies, domestic and offshore legal tools, and asset protection training. In fact, thousands of people have attended our live seminars through the US and abroad. So, this specialized expertise makes APP distinctly qualified to offer an ethical and legally compliant asset protection tutorial. Accordingly, we intend to show you tested methods that portray what the latest findings show in shielding yourself from legal predators. Asset protection is the use of certain legal tools and strategies to shield valuables from seizure in legal proceedings. The legal tools often include the use of certain domestic and offshore trusts, limited liability companies (LLCs) and corporations. The methods include using laws such as a homestead exemption, tenancy by the entirety, and retirement asset exclusions, for example. The valuables can include savings in a bank or investment account, real estate, intellectual property such as patents, trademarks and copyrights. It can also include as personal property such as household goods, vehicles, business resources, and other items of value. Asset protection tips and strategies include proven actions to put oneself in an optimal position to ward off legal threats. They can help keep legal predators from taking your hard-earned wealth. Protecting yourself and your business includes gaining a bit of legal expertise. Once acquired, you can use this knowledge to employ the proper legal tools. These tools can comprise the key elements of your financial fortress. If you structure all of this properly, you can achieve a higher level of financial security in this lawsuit-plagued world. Thus, you can put yourself in a place to keep more of what is yours, and sleep better at night, too. The goal is to put yourself in the best position possible so that when a lawsuit does strike, you will be in a stance of optimal strength. The plan is for you to dictate your own financial destiny. It is not to have some crafty attorney weave a web of legal snares for you in front of some stranger who calls himself a judge. To do this, you need to structure your affairs such that a member of the judiciary does not have the legal ability to convey what is yours and give it to another. Like it or not, this often involves using legal tools in jurisdictions that give greater value to the protection of assets than your own. This often means using the laws of other reputable countries. Many of them have crafted laws favoring those have fallen victim to vexatious litigation. There are various factors that the courts look at to determine whether or not your assets are truly shielded. First of all, fraudulent transfer of assets to other people after you know a lawsuit is coming or after you have already been served with one simply does not work. If you don’t know how to protect your assets and you move the assets to Momma or the kids, that will not be a happy event. The plaintiff’s attorney will simply sue Mom, Bobby or Susie to get the assets back. That’s the oldest one in the book. Insurance doesn’t work in most cases. This is not to say that you shouldn’t have it. It is just that the exceptions written into today’s policies are put there to keep the insurance companies from paying claims. After all, with the competitive pressure to lower rates, they must take measures to lower payouts as well. As you know, they are in the game with a profit motive. So, if there is a way out of paying your claim, they will find it. Plus a high percentage of lawsuits nowadays involve fraud claims, rightly or wrongly. This is because the plaintiff and his or her attorney can collect more if such a claim is held as valid. 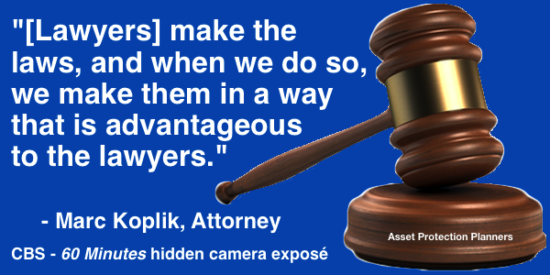 Once an insurance company sees a claim for fraud, most will tuck and run and refuse to defend the suit. Call the number on this page or complete the web form. There is no one-size-fits-all approach. The strategy depends on what you have, what it is worth, where you live, and how serious the threat. Protecting real estate usually requires the use of a different legal tool than one operating to protect cash or stocks. Protecting assets in a divorce is different than protection of assets from contract liability or malpractice claims. So, an asset protection plan needs to be tailored to the needs of each individual or business. Getting a high degree of legal protection can be achieved when using methods that have survived legal storms. It is not the job of asset protection to play hide-and-seek with your assets. It is the job of making yourself lawsuit proof by constructing a financial fortress that locks out your legal enemies. It is like a modern GPS unit can readily guide you to your destination. An asset protection specialist has likely seen and assisted in hundreds or thousands of strategies. People like us have helped others who are in situations very similar to yours. We will have a very good idea about which set of structures would put you in prime position to fend off legal attacks on your wealth. It is challenging to accomplish this level of protection without a formal, proven asset protection methodology and strong legal shielding tools. So, this tutorial on how to protect assets can provide an entry-level how-to guide, discussing all of the above and much more. It is like taking a free asset protection training class! Before you start, it is essential to understand that you can put yourself in a position of financial strength. But you can only achieve it when you take action. Mere knowledge is not enough. You must actually place your resources in the proper legal tools and use high-quality, asset protection methods. Even so, keeping a high degree of legal protection requires constant monitoring and re-structuring as your portfolio grows. Asset protection never sits still. But neither do the hungry attorneys. Legal predators need to take from hard-working individuals like you to put food on their own tables. Ready to learn? Let’s proceed and get the Asset Protection Planners Tutorial going! It begins with a simple call to the number above or completing the inquiry form. You will find both on this page as well as research to create a plan tailored to your situation.